The killed Black Tiger cadres were highly glorified and their families were given the "Maha Viru family" status. Those cadres were given a chance to have his/her last supper with the LTTE leader Prabhakaran, which was a rare honour one would get in the LTTE controlled area. 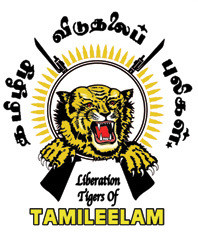 This, in turn motivated LTTE cadres to join the Black Tiger wing. In 2008 – 2009, a report on ″Money laundering and the financing of terrorism″ to the European Union Committee stated a case study related to the LTTE which evidenced the implantation of this terrorist group in number of EU member states. In January 2011, Swiss authorities arrested several LTTE members on money laundering. The Swiss Federal Criminal Court has given no prison terms to alleged financiers of the LTTE. It said the 13 accused were either given suspended custodial sentences or acquitted. ^ a b c Lehr, Peter (2006). Violence at Sea: Piracy in the Age of Global Terrorism. New York: Routledge. pp. 26–27. ISBN 9781135926472. OCLC 847387581. ^ Parashar, Swati (2008). Maritime Counter-terrorism: A Pan-Asian Perspective. India: Pearson Education India. pp. 45, 187–189. ISBN 9788131704042. OCLC 842893248. ^ ″LTTE in brief″, Ministry of Defence and Urban Development – Sri Lanka. p 7. ^ Immigration and Refugee Board of Canada,Sri Lanka: Alien Smuggling, 1 May 1996, accessed 2 February 2014.